This is our motto at Rise & Shine Montessori Children’s Education Center, winner of two distinguished awards: Provincial and National. 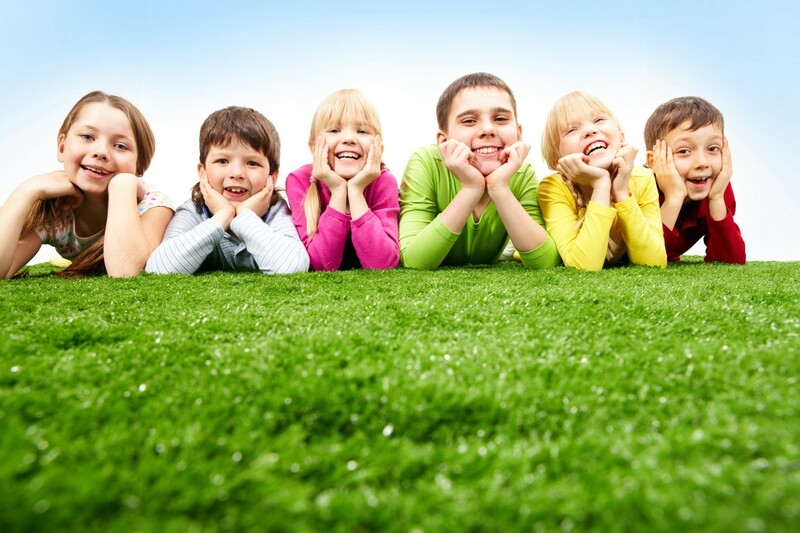 Our Center is Located in a prestigious West Richmond neighbourhood, surrounded by a beautiful, tranquil garden with ample parking and a large, well-equipped playground, Rise & Shine welcomes your family to become part of our multicultural community. Our well-rounded program, which is designed to enlighten, invoke curiosity, encourage, gently guide and care for your child as an individual, will inspire a love of learning that will last a lifetime. Sharing with friends, hugs, stories, dreaming and believing in what one can achieve, laughing at ourselves and with others fill our days with joy and strengthen our bond as family and community–this is Rise & Shine! Rise & Shine Montessori continuously strives to provide a happy and nurturing teaching environment with varied enjoyable, educational experiences which make children feel loved and worthwhile. These opportunities promote continuous growth cognitively, physically, emotionally and socially which is paramount to becoming a responsible and confident human being. Request a school tour today and discover what a difference Rise & Shine Montessori’s unique approach to learning can make for your child’s future. At Rise & Shine we always remember the trust you have placed in our hands…the loving care and education of your precious child. "It’s hard to fully express the gratitude, respect and admiration my family has for Ms.Rose and her staff at Rise and Shine Montessori. Both my daughter and son have attended Ms.Rose’s and they both have flourished due to her dedication and commitment to her students in all aspects of their development. Her facility is top notch and Rose is always going above and beyond instilling confidence in the children to be the best versions of themselves as they prepare for kindergarten and beyond. Thank you Ms.Rose for all you do with our kids. We know how much you love and care for them." "Ms. Rose and Ms. Mabel teach children to be kind, smart and lovable. Other than effective step-by-step teachings in numbers, shapes, colours, spelling, and other accademic development, they also put focus on helping the kids to have good virtues and be a better self." "Our lil one was once a shy and timid girl, but after two years at this preschool / daycare, she became more confident and caring. We are amazed, so are others, at her neat handwriting, great colouring, ability to do addition and substraction and spelling. Her academic level is already in Grade 1 level even before she started kindergarten." "I am so grateful for Ms. Rose & Ms. Mabel at Rise 'N Shine. My child learned number, reading and spelling skills, but I am most appreciative of the attention to teaching kids how to be good, polite human beings." "The set-up was great, with an awesome underwater-themed nap room, a bright and engaging 'classroom', and tons of outdoor space. We definitely feel our son has learned a lot socially, emotionally and educationally, and had a lot of fun during his time at Rise and Shine." "Great experience at Rise and Shine! Felt like family taking care and teaching our kids. Would be more than happy to send another child or recommend for anyone thinking of sending their child to Rise and Shine Montessori." 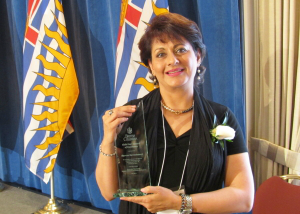 "Provincial Excellence in Teaching Innovation"
"Prime Minster's Award for Excellence in Early Childhood Education"
In November of 2014, Shyrose Nurmohamed, Director of Rise and Shine Montessori, was one of five Early Childhood Educators across Canada to win the Prime Minister’s Award for Excellence in Early Childhood Education for her work with children and the community as well as her center’s unique programming and environment.She spent 5 days in Ottawa attending receptions at the Prime Minister’s residence at 24 Sussex; Parliament Hill with Members of Parliament; Rideau Hall with the Governor General. As part of this honour, Shyrose also made a presentation regarding her teaching philosophy as part of the “Best Practices” panel. Government award page. 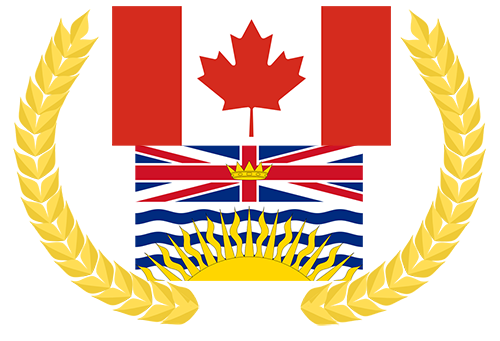 In May of 2012, Shyrose was honored with an award from the Province of British Columbia, Ministry of Children and Families for Excellence in Teaching Innovation. 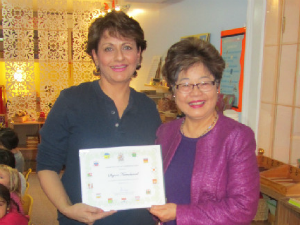 This award recognizes Rise & Shine’s unique program, environment and teaching practices.